Our are as diverse as the musicians who make up our city, so you can bet that we have something for everyone. Our Platinum Room boasts the finest acoustic and electric guitars on the market, while our Vintage Collection shows off classic axes and amps from the past. Experienced stage hands will love our GC Pro department, where today's best audio, video, lighting and sound installation choices can be found. We also offer rentals on a large assortment of instruments, and since our 2013 remodelling, we have band and orchestral instruments in stock. Don't forget to also check out our "Summer Camp" programs, where we hold fun and informative 5-day long gatherings to help you broaden your playing horizons. In fact, we're home to Guitar Center's largest lessons and rehearsals facility. If you have any questions at all, don't hesitate to call us at 504-818-0336, or stop by for a chat. We're located at 100 S. Clearview Parkway in Harahan (about 15 minutes west of downtown New Orleans, straight down the Earhart Hwy). Guitar Center New Orleans provides comprehensive guitar repair services for the New Orleans area. Our repair technicians are as passionate about your guitars and basses as you are, and we have the experience needed to keep them performing at their best. Whether you need a quick adjustment to make your guitar easier to play, or a complete guitar rebuild, we have the tools and know-how to take care of your instrument. Guitar Center New Orleans can also help build a maintenance plan that fits you and your guitar or bass needs, including custom setups, restrings and more. We also take care of fret repairs, hardware and pickup installations, upgrades and customizations, bone and graphite services and more. Here in New Orleans, music is everywhere. After all, it's an important part of our unique heritage, and it's obvious in the wide variety of musical styles that make up our music scene, and also in our massive Guitar Center store. 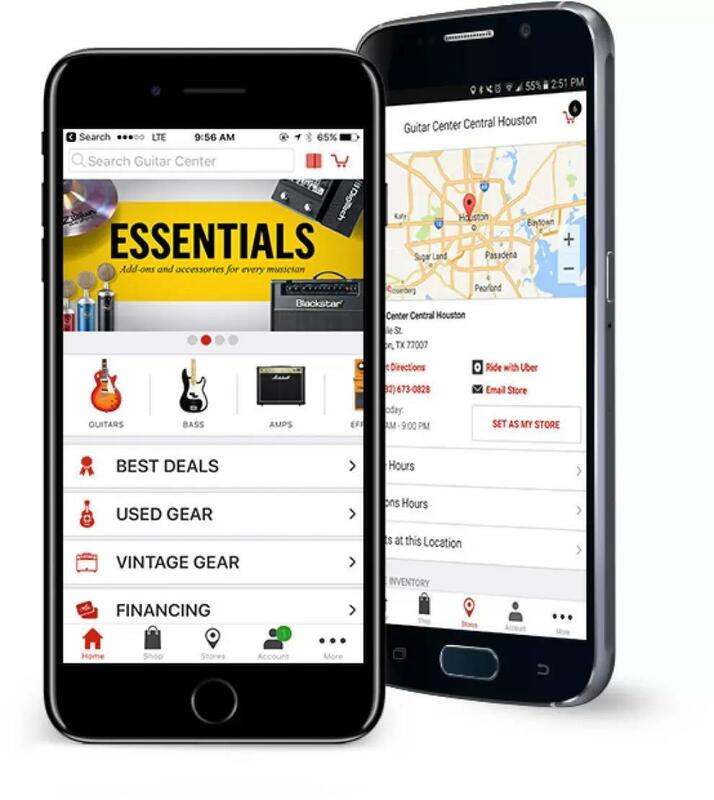 Ask any musician in the area, and they'd be happy to tell you about Guitar Center New Orleans' extensive range of services, programs, and massive inventory of instruments, DJ equipment, and sound gear. Whether you're an amateur hobbyist or a veteran of the stage, each member of our friendly staff is certified to help musicians from all walks of life find their tools of the trade.First and foremost at Guitar Center New Orleans, we strive to give you the experience that Guitar Center is known for nationwide: big-store selection and prices with small-shop expertise and personality. From sales and repairs to lessons and rentals, our staff in every department is well-trained to cater to Louisiana music-lovers. Our store is open seven days a week, so there's always a right time to visit even if you're on a busy schedule.